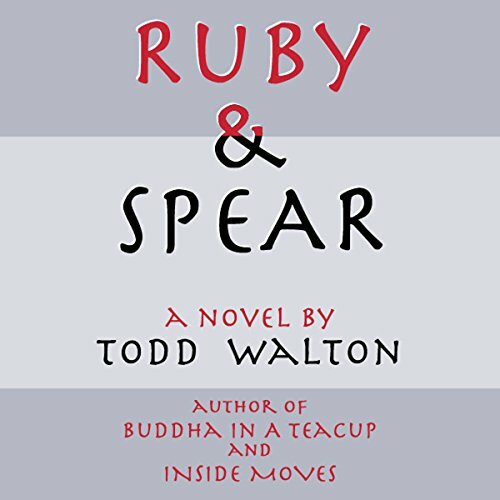 Todd Walton's captivating reading of Ruby & Spear reveals his novel to be a romantic comedy, a Buddhist allegory, an inter-racial drama, and a rousing sports story. Set in San Francisco and Oakland with a large cast of wonderfully nuanced characters, Ruby & Spear is told by Vic Worsley, a razor-tongued newspaper columnist on the verge of a nervous breakdown. As the story begins, Vic's solitary life is dramatically altered by a visit from an elderly woman named Ruby Carmichael bearing a photograph of her formidable child Spear Rashan Benedentes. Vic's love affair with the bewitching Greta Eagleheart ensues immediately thereafter, as Vic embarks on an amazing journey from his genteel life in San Francisco to the mean streets of Oakland. There, on the legendary basketball court of Tillsbury Park, Vic meets Spear and his remarkable friends and family. Transcendent of the stereotype, Spear becomes the mentor and friend Vic has longed for all his life. Seasoned with music composed expressly for the novel, Ruby & Spear is by turns uplifting, sobering, funny, and deeply hopeful that anyone may overcome self-doubt to realize his dreams. Todd Walton does it again! Would you listen to Ruby & Spear again? Why? Yes, the story is beautifully told and compelling to the end. Along with Walton's "Inside Moves", "Ruby & Spear" holds a special place for me. Finely crafted, succinct, and heartfelt. I recommend it to anyone. Other than Under the Table Books by this author, Ruby & Spear may be my favorite! And, lo and behold, alas and alack, Mr. Walton, who reads this audio book is fantastic as a reader, too. No one could do it better. A real delight. Thanks for having it available. Best touching narrated stories ! !